Spend a wonderful week on the coast of sunny Southern Italy beside the glittering Mediterranean, and discover the history, culture and spectacular scenery of one of Europe’s most popular destinations. Relax at your hotel, today, or explore the surrounding area. Our Tour Manager is sure to have plenty of suggestions if you’re wondering where to start. From here we’ll follow the curve of the bay, past Vesuvius, to Naples. Explore the city’s historic centre, which radiates off from the Spaccanapoli – the long straight narrow street whose name translates as ‘Naples Splitter’ – and gaze across the Piazza Plebiscito to the curved collonades of San Francesco di Paolo on a guided tour that will also reveal the Royal Palace, Castel Nuovo and the astonishing view across the bay to Vesuvius from Posillipo. After a walking tour through Sorrento’s oldest quarter, today’s optional excursion will take us into the Campania countryside for an insight into the region’s traditional farming and food. You’ll have the chance to taste and buy regional delicacies as we visit a local wine cellar, an ancient olive press and a farm where the region’s famous mozzarella is hand-made. The day will also include a drive through some of the region’s smaller towns, boasting spectacular views of the due golfi of Naples and Salerno. Experience unforgettable views of vast cliffs, deep gorges and dizzying bridges from the Amalfi Drive – one of Europe’s most scenic coast roads. 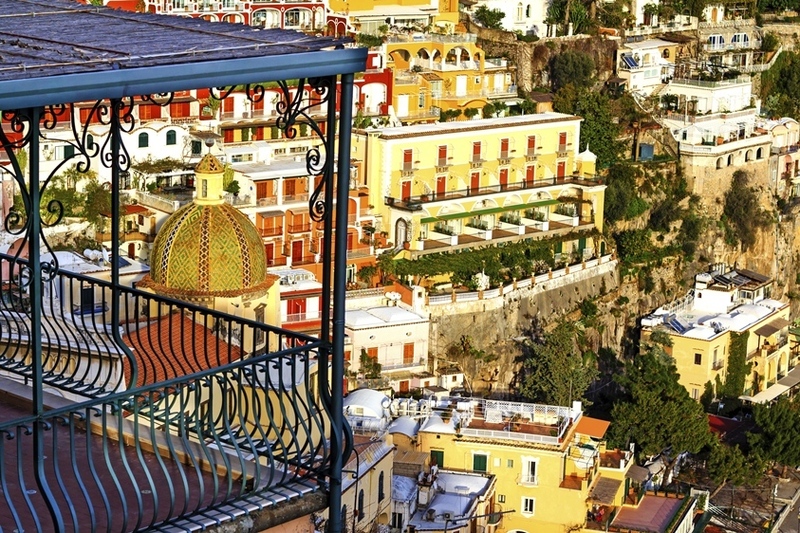 See lovely Amalfi, the colourful, Moorish houses of Positano, and the alleys, stairways and roofed passages of mountainside Ravello, on today’s optional excursion. Capri, the Isle of Dreams, is the destination for our next optional excursion. Take in the magical views from Anacapri’s Villa San Michele, visit the summit of Solare by chair-lift (payable locally) and stroll the streets of the island’s main town as you browse its designer stores and boutiques.